We are back at school again, and as ever after the summer holiday there is a lot of catching up to do – it seems even more so this year. 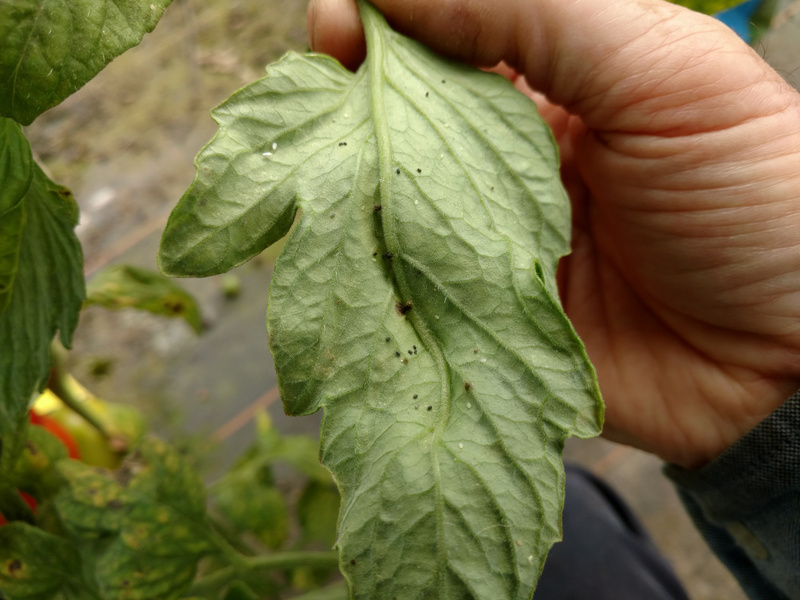 Last year our tomatoes were damaged by an infestation of white fly. This year we spotted white fly early and, again, sourced some parasitic wasps. The wasps seem to have done their job because there are fewer white fly (though this might be weather related) and if you look at the picture you can just see where we think the wasps have parasitised the white fly larvae and pupa. Normally the larvae and pupa are white or translucent but if they’re parasitised by the wasps they go black. In June, when it was dry and hot, there was very little grass for the sheep and lambs, and they were not doing well; now there is an abundance of grass and the condition of both the sheep and lambs is much improved – the ewes are a little too much improved as they are getting rather ’rounded’! Some of this year’s lambs were sold recently at a market and made a very good price – we were lucky and had picked a market day where there were lots of buyers trying to buy limited numbers of lambs, which tends to push prices higher. 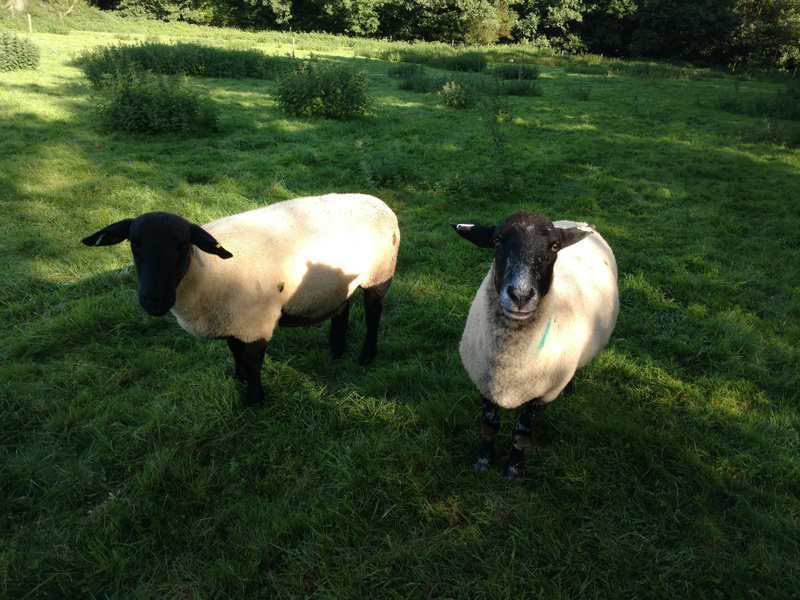 In the next few weeks we will be getting two new mule ewe lambs and then a few weeks later on a ram. Crackle is now in retirement (lucky her) and we have kept a daughter ‘gilt‘ of hers (yet to be named) to become our new breeding sow. She looks to be another quiet, calm, intelligent animal – we hope she will have piglets in the first half of next year. 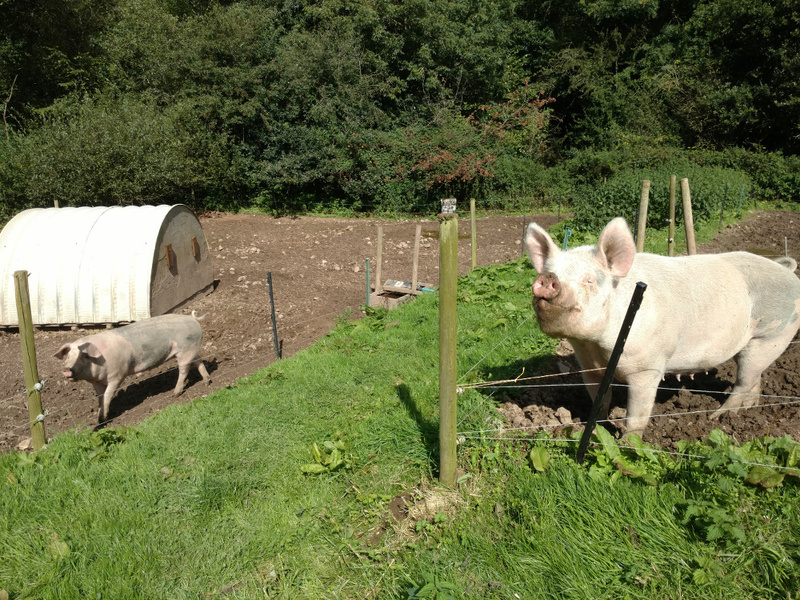 We also have three other pigs, bought from another farm, in the barn – but they have to be kept away from these two so that we are sure they don’t pass on any infection, or indeed vice versa. 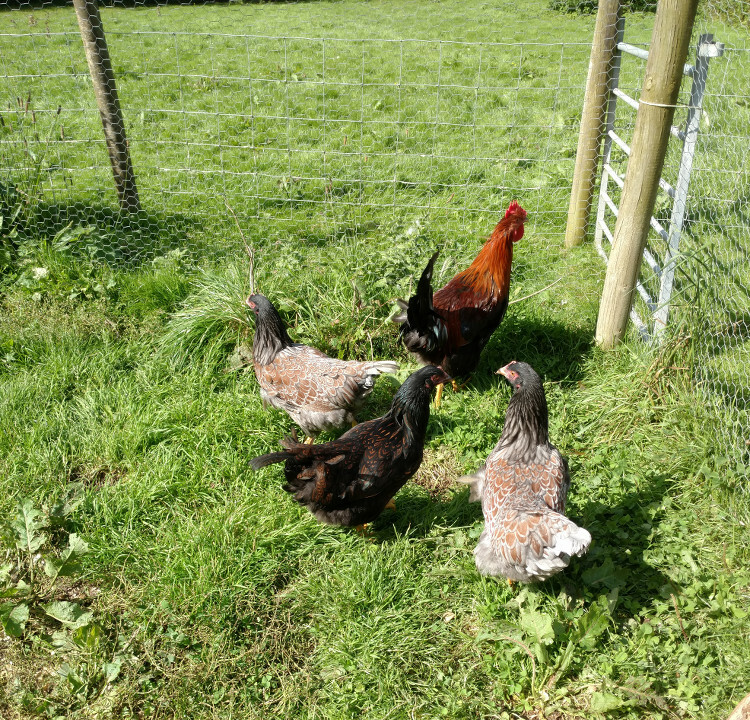 Finally, we’ve also got five new chickens (called pullets at this stage) that we hatched from eggs, and rather fine they look. They should lay lots of eggs over the next year, especially when the days start to get longer next year as this encourages chicken to lay eggs.